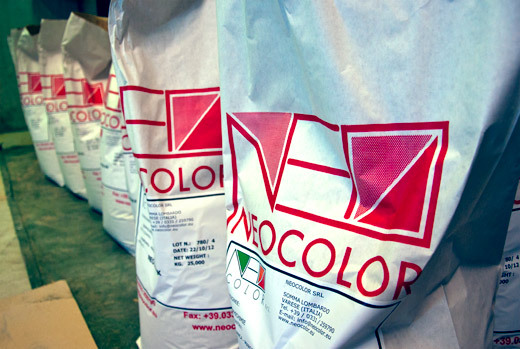 After its initial focus on dyestuff, Neocolor has enlarged its offer range to all kinds of chemical products for leather treatment, starting from from raw hide up to finishing phase. We are able to offer a wide range of syntans, fatliquors, dyestuffs, resins, degreasers, beamhouse and finishing products. Regarding dyestuffs, we propose on the market a wide range of dyestuffs at very competitive prices, with a production capacity nowadays of more than 250 tons per month.